At only eight years old, Anthony Friedkin began taking photographs in his native Los Angeles. By 11 he could develop them in a dark room. At 19 years old, Friedkin embarked on a photographic journey that would forever change history, creating the first extensive visual record of gay life in California. This moving chronicle is called "The Gay Essay." Today, the stunning black-and-white photos that comprise "The Gay Essay" don't just offer an intimate look at the fearless and loving individuals who comprised some of the earliest emerging gay communities in Los Angeles and San Francisco. They also capture a particularly influential moment in gay history, capturing the era directly following the 1969 Stonewall Riots in New York. Friedkin, inspired by photographers like Henri Cartier-Bresson and André Kertész, combined curiosity and compassion with every photo he snapped. His photographs span the transformative years following the riots up until 1973, the year American Psychiatric Association declassified homosexuality as a mental illness. From the first pride parades to the less-momentous but equally significant nights on the town, Friedkin captures the passion, love and strength that continue to characterize the LGBTQ community. June 28 marked the 45th anniversary of the Stonewall riots, and, in commemoration of this historical turning point, San Francisco's De Young Museum is exhibiting the vibrant faces immortalized through Friedkin's ambitious lens. Despite the series' title, the photos are less a comprehensive look at a politically historical era, but an onslaught of individual moments, smiles, struggles, secrets and wild nights. Gazing into the eyes of Friedkin's subjects you almost feel like that 19-year-old boy gaining the trust and goodwill of so many strangers. "Friedkin followed his own trail when making the essay," exhibition curator Julian Cox told Slate. "It’s not a mathematical analysis or State of the Union of gay life at the time. That's one of the reasons why I find it so interesting, because it blends both historical documentation and specificity, but it is also this very personal body of work. There's a lot of intimacy in the pictures, a lot of connection with the subject matter." Cox explains further in an essay accompanying the exhibition: "To conjure its spiritual and emotional core through photography. He was most interested in men and women who were trying to live openly, expressing their sexuality and a burgeoning sense of personal freedom, and improvising ways to change the culture." From a drag queen dressed as Jean Harlow to Reverend Troy Perry, who welcomed gay men and women into his L.A. church, these are the faces of gay life in the late 1960s and early '70s. This is "The Gay Essay." 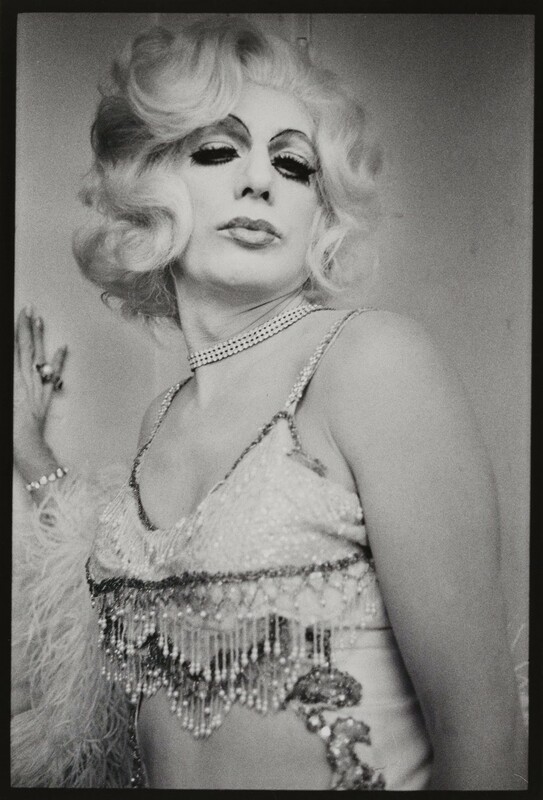 "Anthony Friedkin: The Gay Essay" runs until January 11, 2015 at the De Young Museum in San Francisco.